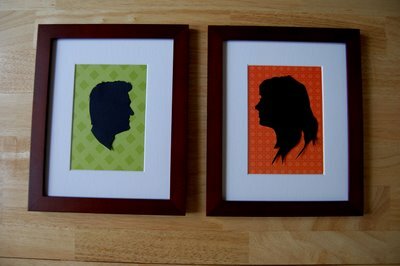 Create and frame custom silhouettes of your partner and you for a unique Valentine's Day gift. This tutorial from Becky Kazana of The Fab Miss B includes several different framing options. 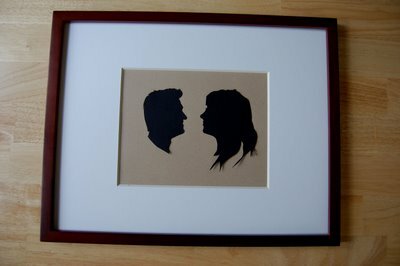 This project would also make a great anniversary or wedding gift for a couple. 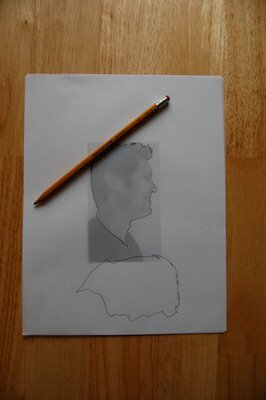 Place the vellum over your photograph and carefully trace over the profile, making sure to include the idiosyncratic details that will make your profile instantly recognizable- funny tufts of hair and all. 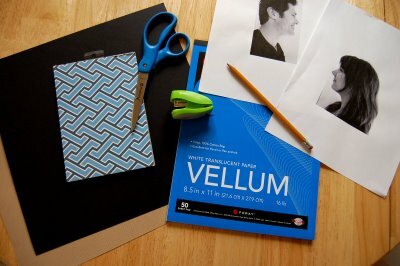 Staple the vellum to the card stock and then carefully cut it out. You may have to do this more than once to get it right- the details can be tricky. I played around with lots of different framing options for these. 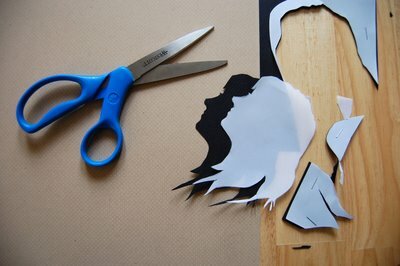 Once you choose a favorite, glue the finished silhouettes to a pretty background and frame. 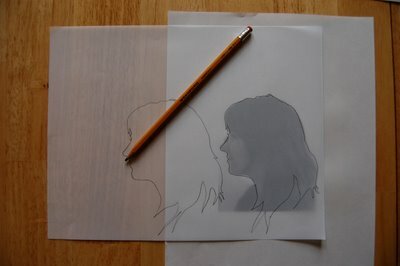 You could also scan the finished silhouettes and upload them to Snapfish to make adorable custom coffee mugs, tote bags or tees. I think this would make the cutest surprise for Mother or Father's Day. Do a portrait of everyone in the family- including your pets. 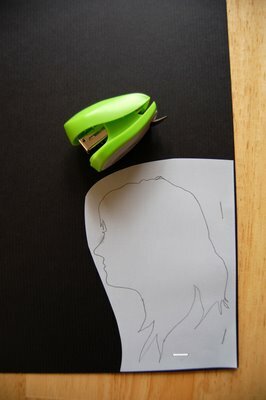 I can remember my teacher doing a silhouette of us when I was in Elementary school. Seeing this reminded me of that art project. To change up a wall clock I want to make a silhouette of all my family and use them as hours of the day. This would be a big stretch from the original design here but sometimes we need a little inspiration. 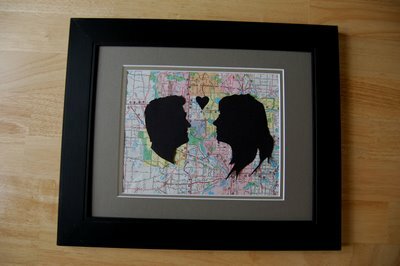 This idea is great for Valentine. However the concept can be used to gift for other events. Go a step beyond and include special dates and names if you would like. The frame could also be a piece of art. The sky is the limit. I love this idea! I'm going to mount the silhouettes in a heart shaped mat, made from a lace doily. I'll add their names and their wedding date in caligraphy and then frame it in a crystal or silver frame. I know my new daughter-in-law will love it. WONDERFUL IDEA TO DO FOR AN ANNIVERSARY OR WEDDING. INSTRUCTIONS WERE CLEAR AND SIMPLE AND I AM ANXIOUS TO TRY THIS. THANK YOU FOR THIS CRAFTY IDEA. BARB H.